Support 404 Productions' upcoming projects, to provide accessible and honest creative opportunities for young artists. We are 404 Productions: A collective of passionate theatre and film makers led by Daniel Hill, James Henderson and Lily Coull. We’re dedicated to telling the best stories by creating honest collaborative experiences that transport audiences whilst nurturing creative young people by incorporating them equally into every part of our creative practice. Make exciting, engaging and meaningful theatre and film productions. Nurture young talent by incorporating young people into all our creative processes. Work with creative professionals to mentor and collaborate with young people. Tour and exhibit our work regionally, nationally and internationally. Work openly, honestly and collaboratively at all times. Use digital technology to communicate, create and enhance our work. Make work that reflects and celebrates the diversity of the world we live in. Encourage learning, discovery and debate by asking questions through our work. Our ambition for 404 Productions is to create a culture through our creative endeavours that allows everyone access to great stories, whether they are an audience member or a participant. As a company our lives have been transformed for the better by stories, whether hearing them or sharing them, and we believe that they can be an incredibly powerful tool for growth and change. As 404 Productions we want to help transform lives through positive creative experiences by telling tales that make can make people laugh, cry, think and maybe even fly. We know that the right type of opportunities and mentorship can give young people the foundation to excel in the creative industries. We are therefore dedicated to providing bespoke mentorship and development opportunities to the young dreamers who need support whilst navigating the complex and daunting world of further education and early careers in the arts. We feel there is a gap in training provision for those 16 to 20-year olds who show exceptional talent but might struggle to access the next stage in their formal development. We believe that our practice of giving young people equal footing with professionals in each of our projects, whilst providing 1-2-1 mentorship provides a profound growth opportunity and helps to make more young creatives industry-ready ahead of their future career choices. Making exciting, engaging and meaningful film and theatre productions will occupy a great deal of our time, and we have wasted none of it in preparing for our first 4 projects. 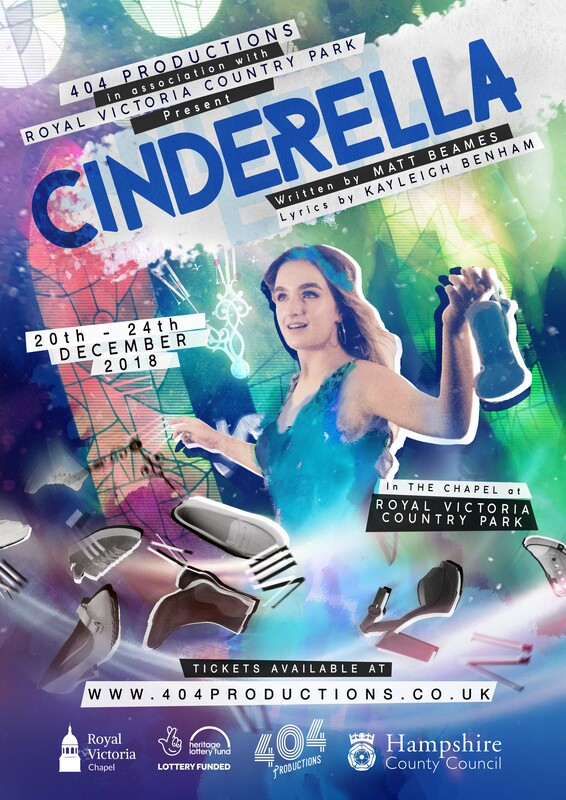 First up we're making a new toe-tapping Christmas Production of Cinderella in association with Royal Victoria Country Park, the show will be a new version of the much-loved tale housed in their beautifully renovated Chapel. 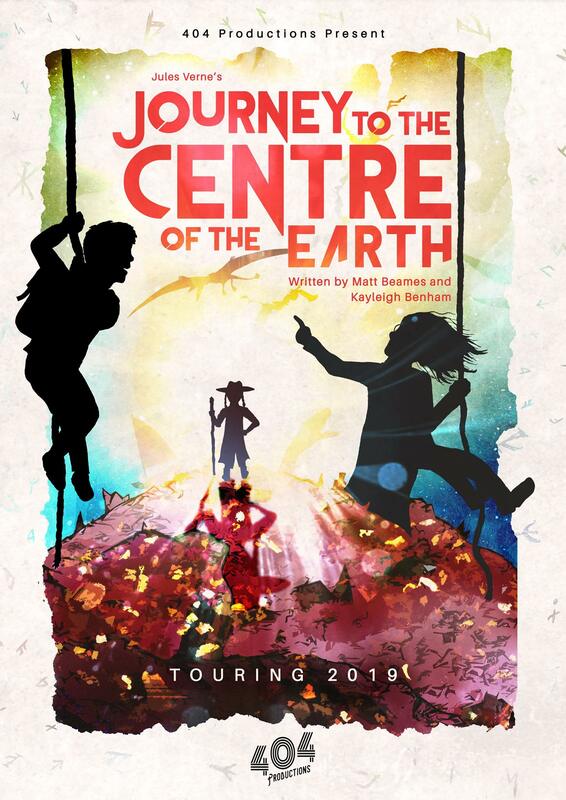 Then we will be touring our adaptation of Jules Verne’s classic ‘Journey to the Centre of the Earth’ in 2019. The show will be a lively adventure story for children and their adults trekking across various spots in the UK. 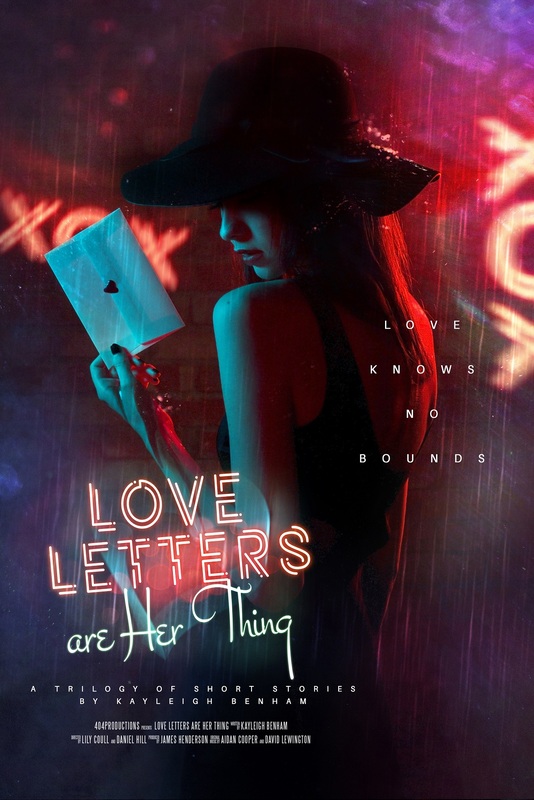 Next up we have ‘Love Letters are Her Thing’; the title of a twisted trilogy of short narrative films written by young associate Kayleigh Benham. 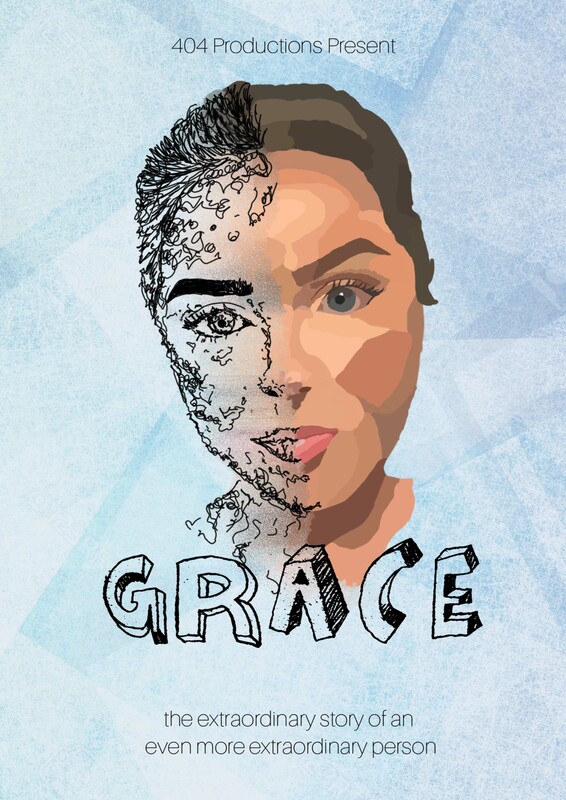 Also in the works is 'Grace'; a documentary delving into the life of a teenager cancer patient and dear friend, throwing a uniquely honest and hopeful perspective on what it is like to live with cancer as a teenager in the UK. Our Young Company for 15 to 21-year olds is designed to feed into our formal associate program. Based in Hampshire, 404 Young Company will engage young people in workshops and performance opportunities to help support their development through participation in honest, collaborative creations. 404 Young Company aims to target young people who otherwise might find it hard to access artistic programs and opportunities or feel they need more support into further education or early career opportunities. It will be with our Young Company that we will be producing our Christmas production of Cinderella. Honest, collaborative creation is the backbone of all our work and we want to be able to enthuse students and teachers alike by offering bespoke Education programmes that use the idea of collaborative creative working to unlock creativity, confidence and passion for the arts. Our team have years of experience in engaging young people in life-affirming creative projects and workshops, with a huge variety of disciplines on offer from Stage Combat and Shakespeare, to Music and Creative Writing. We also have experience in mentorship support for GCSE Drama students and Trainee Teachers. We want to be able to pass these skills on to as many young people as possible by working with education partners to deliver in school workshops that help further prepare the creative free thinkers of tomorrow. As you can hopefully tell we believe the arts should be accessible for everyone and anyone, and giving a platform for young people and emerging creatives whose voices are so often overlooked is vital to making that happen. While we have all these exciting projects on the go, we are also having to sustain ourselves as individuals with other work, alongside setting up 404 as a Ltd Company and all the production management that goes with running all of these existing activities. Though as individuals we have years of independent experience and we have worked together for many years, 404 Productions is still an emerging company and our financial foundations are, well… essentially what is in each of our pockets. Our dream is to get to the point where our company is self-sustaining, but it’s going to be an uphill climb, at least to begin with. So, this is where you come in, if you’re willing; we have set up this crowd funder to try and help us get started. We have estimated that ‘Journey…’ alone will cost in excess of £50,000, so raising at least 5% of that through crowdfunding allows us to get the show on its feet as we venture into further funding from Arts Council England and other funding platforms. These organisations are often encouraged by a visible community of supporters around the applicant's work, so the more people who express an interest in our projects, the more opportunities for further funding become available. Basically 2000 people giving a fiver is more useful than 5 people giving 1000. All the money raised from our crowdfunding campaign will go straight into our production budgets. This will ultimately go towards the cost of the purchase and hire of equipment, insurances and licensing, actors’ fees, costume and props, marketing and expenses. 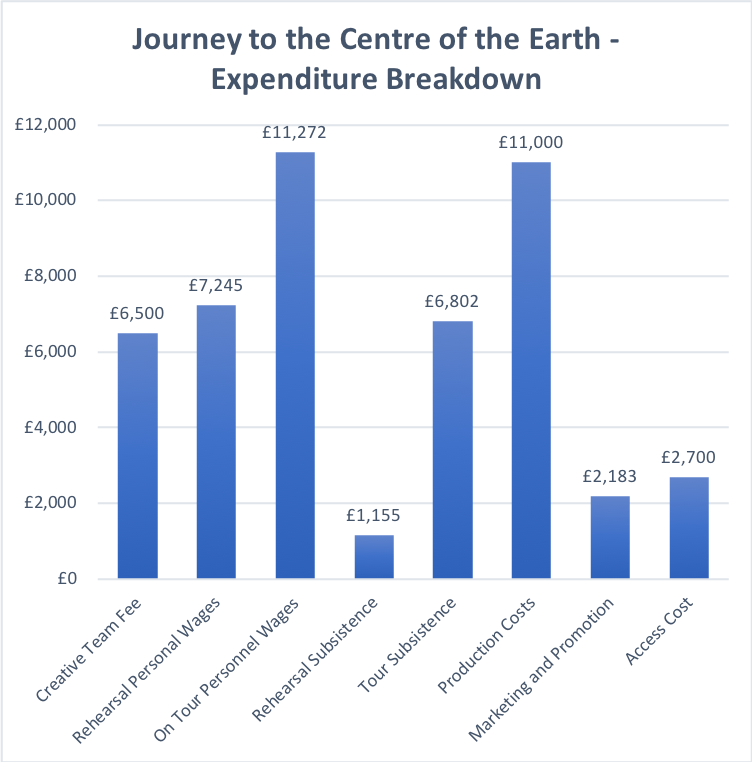 We've set out from the start to be completely transparent, so for example, just take this expenditure breakdown for Journey (right). As you can see the costs add up.  Your money will form a percentage of the mix for this and all our other projects. As a non for profit organisation, everything we make goes into making more work and experiences for the young people we want to inspire, but balancing the budgets and treating everyone equally both in opportunities and pay is a top priority for us. But that’s enough of the boring figures, here's a picture of something fun to lighten the tone. By making a contribution, you're enabling us to build our foundations and make each project we undertake as high quality as possible. The work we want to produce involves generating a community around us, which means there will often be multiple ways in which you can be more directly involved. A pledge will subscribe you to our mailing list, meaning you can receive newsletters detailing what we’re up to and how you can take part and help us to tell stories we can all be proud of. Ultimately, we know money isn't easy to come by and there are plenty of other causes that require your donations. So, if you don't feel like reaching into your pocket, there is another way you can help; simply by clicking share. Share this campaign with your friends, your Nan, Auntie Janine and your social media pals so that we can get more people engaged with our work. Publicity and exposure is equally as important for us at this stage, particularly with a touring show in the works. Every contribution is a massive help so thank you for your ongoing support! Thank you so much! We'll give you a social media shoutout just to let the world know how brilliant you are! Pledge a tenner and we'll give you a social media shoutout plus the option to recieve occasional email updates detailing what we're up to and how you can get involved. Both of the above, plus mp3 copies of two exclusive tracks from Journey to the Centre of the Earth. One score, twenty? That doesn't even rhyme. Thanks to your generosity, we'll give you all the above, plus a personal thank you video from the team! Blimey. We're so humbled by your kindness that we'll give you all the above benefits as well as the opportunity to step into our rehearsal room or be an extra on one of our film projects. As well as everything else, we will produce a walkabout/installion piece tailored to your event or party, provided by our experienced team of street theatre practioners. Obviously we dont anticipate any individual contributing this much, however if you run or represent a business or organisation who might be interested in our premium sponsorship package, here is what we have to offer;12 months of free advertising space and sponsored by mention on website, newsletters, printed press, executive producer credit for film and video work and up to 15 free tickets to one of our shows or events.